Start / Explore / Blogs / We need a chatbot! What Now? Every ten years, we seem to leverage new technology driven curiosity. We iterate through discover, pilot, learn. 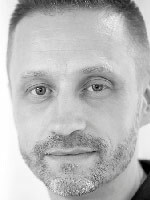 Eventually we end up in sustainable business impact, Andreas Sjöström VP Digital Advisory Services, considers how best to get started with your Chatbot. My advice is to not oversell the first few projects. Believe in them and enjoy the ride of piloting, but don’t overspend. Don’t kill the bot baby, instead evolve it. Try with real users, real customers, real people.